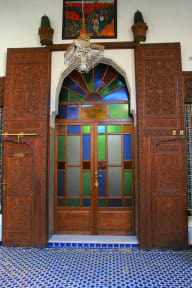 Riad Lalla Fatima has five suites and three double bedrooms, a large Moroccan living room and garden, ideal for relaxation. Held by five members of one family, they are available with a single desire: to make your stay enjoyable. Parents are the owner-managers, the eldest daughter is the manager. Let yourself be transported by an atmosphere of calm and tranquility that contrasts with the hustle and bustle of the Medina. Whether you're a couple, family or friends, let yourself be seduced by this exceptional place. 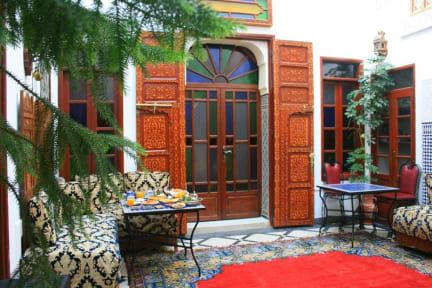 Have you always dreamed of spending your holidays in a Riad in Morocco, it is now possible in our riad in Fez and its very attractive prices.